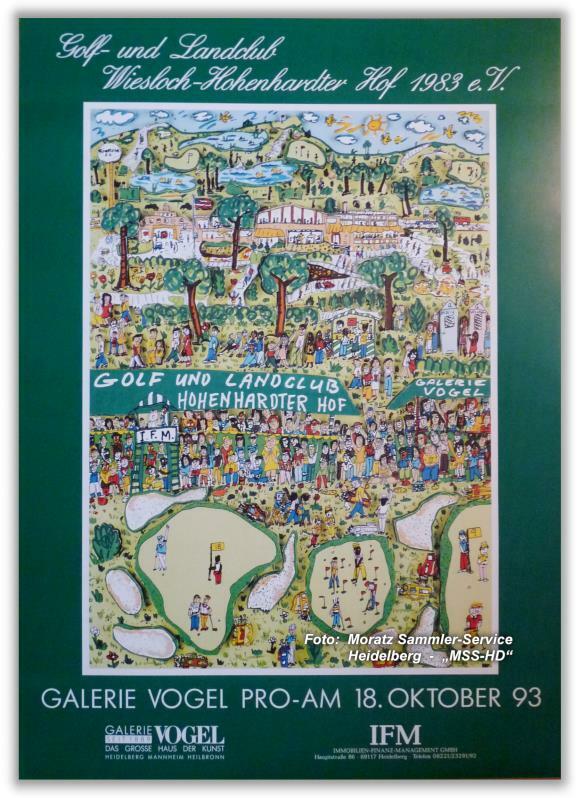 "Golf- und Landclub Hohenhardter Hof"
Format approx. 68 x 98 cm / 26.5 x 38.5 inches. Official poster for the Pro-Am Golf Tournament of 1993. Condition: Fresh colors, as good as new. Authenticity warranty. Delivery is unfolded, rolled. The theme of the poster is based on the Rizzi 3D construction "STROKES OF GENIUS" of 1991.